I lovvve these bright pants, they're so perfect for summer especially with that pretty printed top. i love everything about this post!! so so cute! 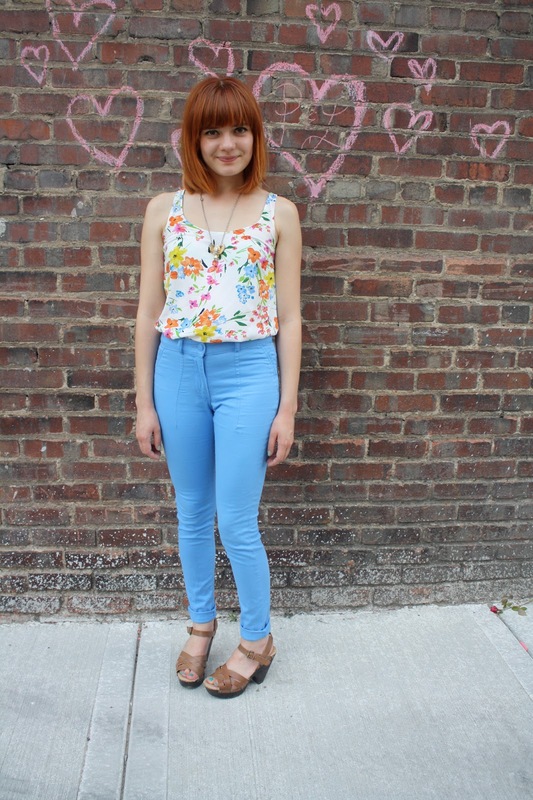 Love love your 'blue jeans' and that top is amazing! 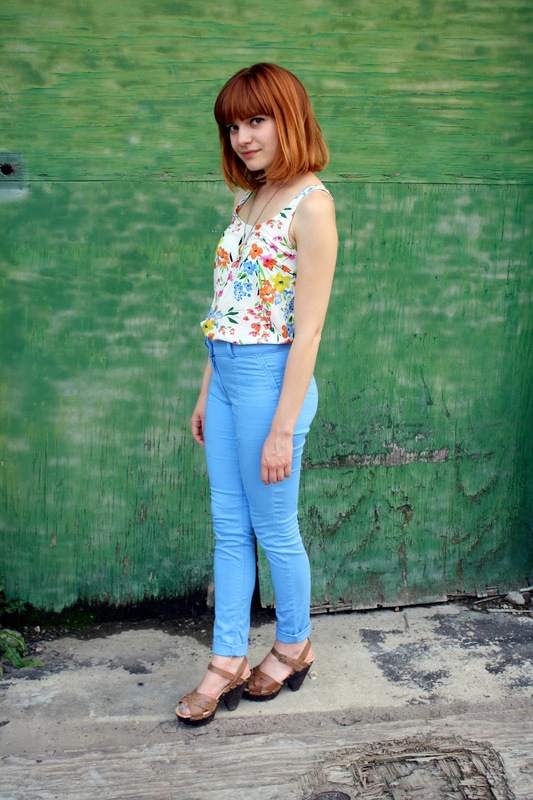 those blue pants look AMAZING with the floral top! Really pretty floral print. And I love your lovely chalk hearts! These blue pants look fantastic on you! I really love the color and they're so flattering.